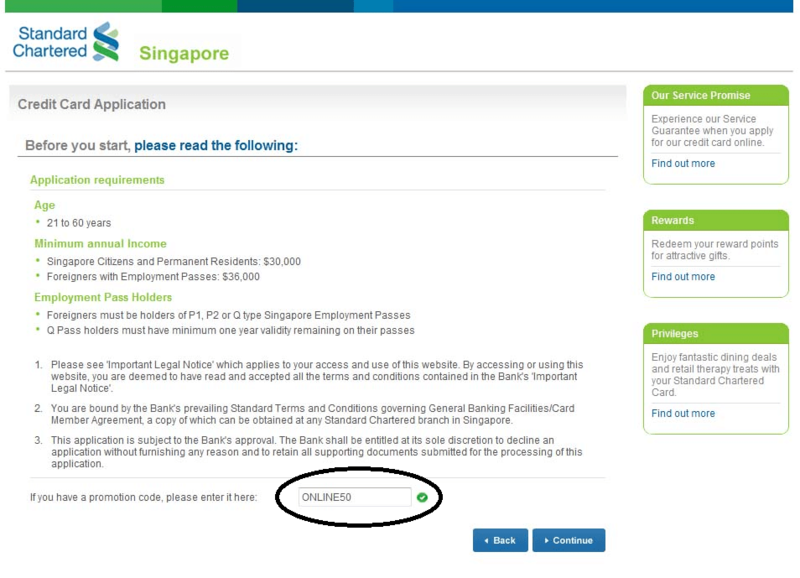 Get free $50 by applying for standard chartered credit card now. I mention in my previous post, How To Save Money On Wedding Banquet, that Standard Chartered Manhattan Platinum Credit Card offers one of the best cashback. I am sorry that this is a bit late to post this now as the qualifying period for this promotion is from 9 May – 30 June 2011, so you only left a few more days to do so. Send in your supporting documents as soon as possible as there isn’t much time left. By email is the fastest. Spend any amount on the credit card within the first month after you receive it to receive the $50 rebate.